It has been five years since the reference label of French Bass Music [re]sources is active. However, because of the importance of this one at the moment, one would rather tend to think that it is “only” five years. 200 radio shows on Rinse France, 20 releases as a label, 40 parties… a marathon that the boss Tommy Kid and his associates lead masterfully, without ever running out of steam. Release after release, [re]sources showcases the new scene, reveals talent, collaborates with the big names, and continues to work with artists enagaged with the label since its beginnings. 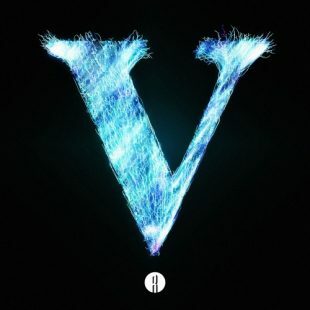 To mark his five years, [re]sources comes out a compilation, soberly titled V. (5 years of [re] sources) EP. On the tracklisting, we find obviously the head of the label, Tommy Kid, the artist from [re]sources who has released his first EP and made his Boiler Room debut the same year, Pl4net Dust, the last signature of the label, Mamboussa, the confirmed Jaymie Silk, and Jesza, revealed by Pelican Fly but which seems to find its marks in the French club scene. In exclusivity before the release of the compilation Friday, here is the trackSweat of Jesza. Real banger, in which we recognize the touch rap and the roaring bass of the producer of Saint-Etienne, who does not hesitate to use samples of baile funk, all boosted by an ultra-efficient club rhythmic. And as good news never comes alone, [re]sources will celebrate its 5th anniversary this Saturday, April 6th at La Rotonde – Stalingrad in Paris. We will find the majority of artists on the compilation, but also the unstoppable Bob Sleigh, Calcium or Blâme. To try to win 2×2 tickets for the party, just share this article on Facebook and tag Couvre x Chefs and [re]sources. End of entries Saturday at noon.